I don't even know where to begin. This past week has been the strangest and most exciting of my life. Ever. Tuesday morning we flew out of São Paulo at 6:30 to Ribeirão Preto. We arrived and President Brum, our mission president, and his wife Sister Brum, were waiting for us. We all went to the mission home and got briefed for the mission field and got our companions. My companion's name is Elder Aguirra. He's from southern Brazil. He speaks a decent amount of English, and is a great missionary. 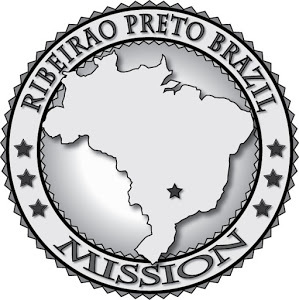 The city we are in, Três Lagoas, is the farthest from the mission home. We spent the night at the Assistants to the presidents apartment, and left the next day with some sisters for the 10 hour bus ride to our area. We are actually in a different state than everyone else in our mission, and a different time zone. So for all those wondering, were on the same clock as the east coast in the US. The weirdest and most confusing thing for me has been the language. Day 1 in the field, i understood nothing, but it has progressively gotten better and now i understand 80-90% of what i hear throughout the day. It's crazy. Wordsjust come out of my mouth, that i don't even know half the time. I'm by no means fluent, but I'm just saying the gift of tongues is a real thing brothers and sisters. On another subject, the food here is the bomb.com. We get lunches every day from members, and it's always meat. usually steak. Oh my gosh it's so good. I don't know if I'll be able to be satisfied with food in the US when i get back. Since I've arrived, there's been all kinds of adventures. I'm afraid that the rest of my mission will either be crazy because of how odd it's been, or super underwhelming cause it's been loco right off the bat. For example, day 2 it rained. Not super bad, but bad enough. We had been home for the night for about 30 minutes, when i heard what sounded like a waterfall in the kitchen. Water was pouring our from the light. for about 30 minutes we were trying to catch it and get it out of the house. Apparently that had never happened before. Just my luck haha. If i had more time I'd write more, but I'm sure better stories will come. Little miracles happen here everyday. I don't know how, but my companion is definitely inspired by God. No matter how many times i try to contact people and share with them, it's always no, but we'll just be walking down the street and he'll go out of his way to talk to someone, and it'll turn out their wife is LDS or that they had been searching for a church or something and boom we set up an appointment and we have someone to teach. Hopefully one day I'll be missionarying at that level. Remember, the church is true. I've seen it so much here, even in just 1 week.